I bought this bottle from the vineyard cellar door at the Graperide a few years back. It won Champion White at the Auckland Easter Show so I thought it might be a goody. Blonde greenish straw. 8.5%. This is the lightest alcohol wine I have ever had I think. Lovely fragrant aromatics: mandarins, rockmelon, hint of TDN peeking through. Yummy. In the the mouth the first thing I get is that typical Riesling spritzy freshness at the front of the palate. Then very ripe and luscious full fruit flavours of apricots and mandarins and honey kick in. Medium sweet. It lasts and lasts. So damn tasty. 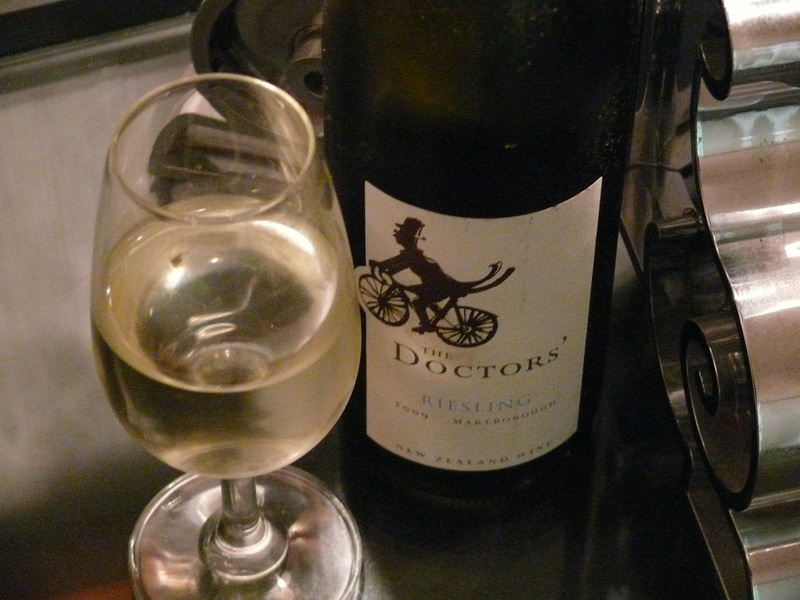 This entry was tagged $$, 2009, 3, 8.5%, Forrest Estate, From the Cellar, Marlborough, Riesling, The Doctors. Bookmark the permalink.